As Ben put it, it seems counter intuitive at first but if you get out of shape, use the throttle to get the car straightened out. 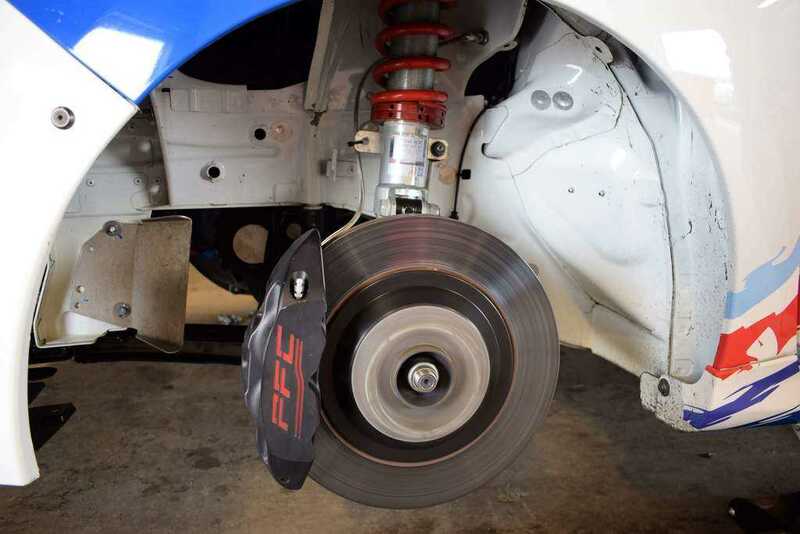 4 pot PFC brake calipers on drilled discs in rotation as car engine and gearbox warm up. Before we get started, we leave the car in gear running on tickover to warm the gearbox. It’s a small race car but there are still important procedures to follow to ensure reliability on this car, like letting the turbo run down for a few minutes with the engine running, instead of just killing the engine when you come into the garage. At the start of the day, it’s cold and wet. 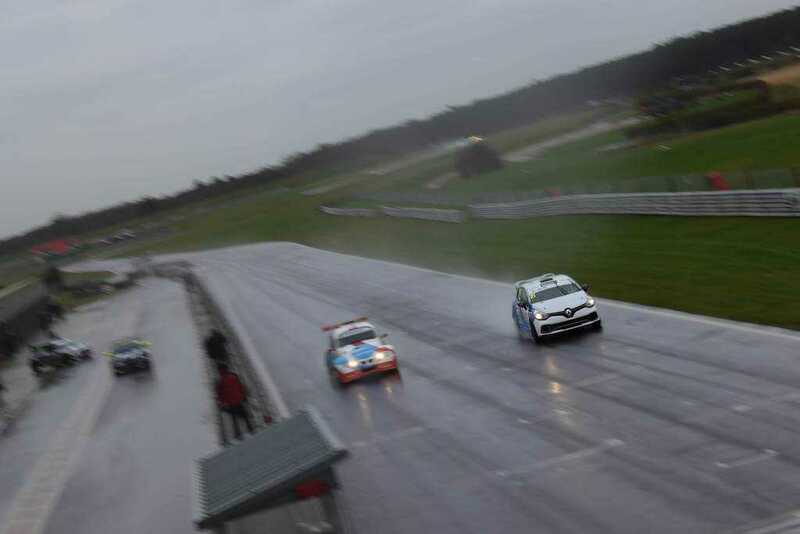 These are the worst conditions I’ve seen for a while with standing water over most of the circuit. I’m perfectly happy to leave the Radical at home today and practice finding grip in slippery conditions in something a bit friendlier. The car was immediately easy to understand and a very forgiving drive. 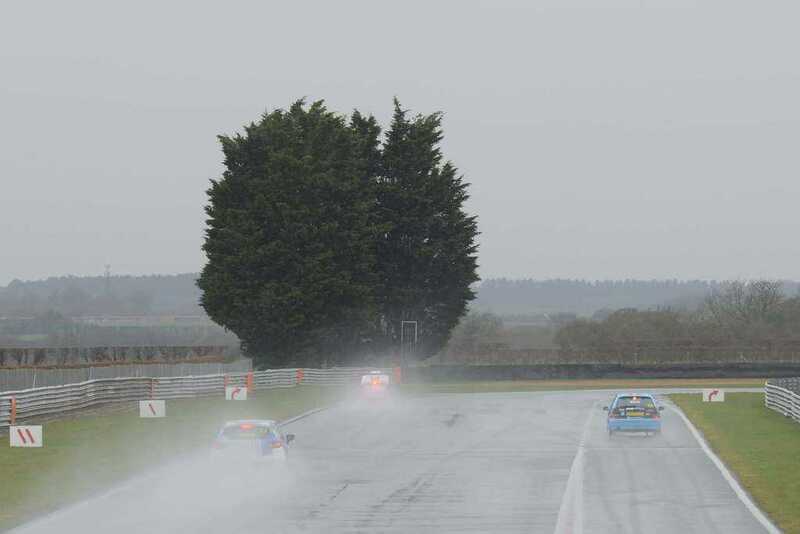 It was easy to forget just how technically challenging the conditions were that day, simply because this is such an accessible and easy to get to know race car. It’s to be expected that the car has a tendency to understeer in the entry phase of slow corners if you’re greedy on entry speed. You have to take some patience in with you, focusing on getting the car turned and subsequently, achieving a good exit. Getting corner entry right took some time, especially in the medium speed corners. Trail in too much and you’ll end up with some unwanted over rotation. You soon learn the trick to driving this car is getting it balanced and ready for a corner early. Distribute the grip of all 4 tyres evenly, managing weight transfer thoughtfully and you’ll find a grippy, balanced car in the mid corner. Once you’ve nailed that technique you’ll begin to learn just how communicative this car can be. In the High speed corners this car feels almost perfectly balanced. As Ben explained, this Clio is running just a little tow out at the rear. Their set up seems to be delivering the goods. In Riches, the front pushes in perfect harmony with a little looseness at the rear – a nice, neat 4 wheel drift at 100 mph is the result. Surprisingly, I’m aware of the tyres at the front and the rear of the car within 10 laps. A vibration through the seat tells you everything you need to know about the rear of the car while the steering wheel is passing along plenty of detail about the front. 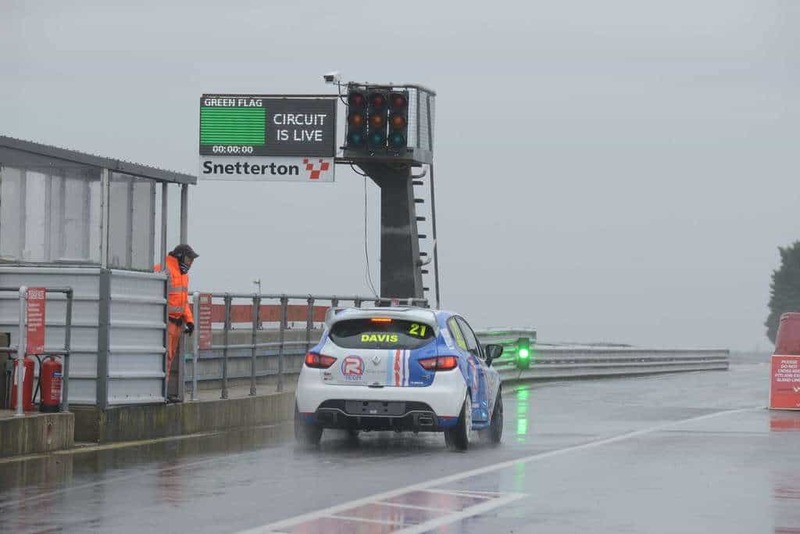 Ben explains why I’m feeling that sensation, and why the Clio Cup car is so good. It has a well stiffened chassis thanks to the way the cage is installed inside the shell. The rear cage mounts are mated to the top of the suspension mounts. 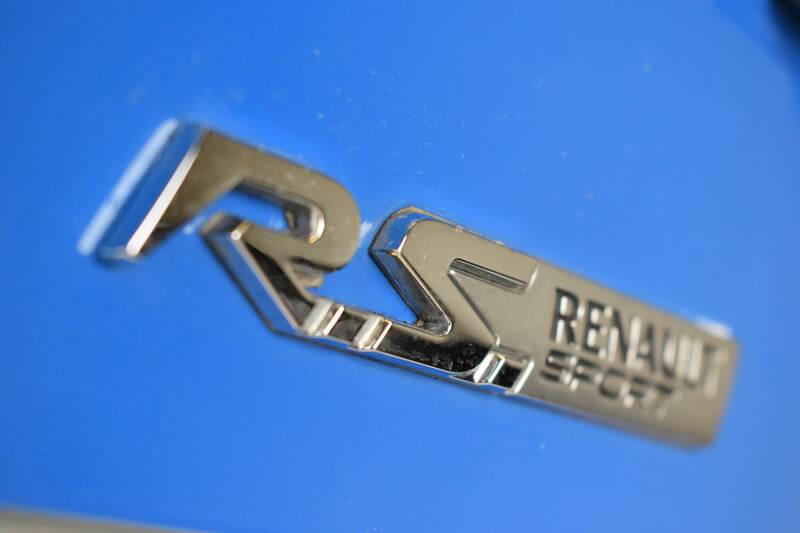 This makes the rear extremely feelsome through your seat, which makes the car very easy to get to know. That moment in the car tells everything I need to understand it. This is a car you can learn quickly. But, there’s a subtlety to extracting the final few tenths. 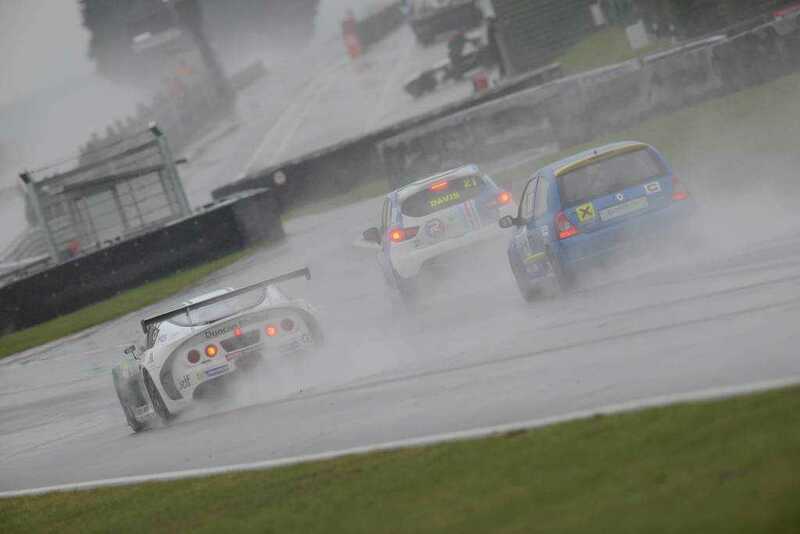 You can’t be greedy in a Clio Cup car. Nor can you be reckless with your inputs. The Clio rewards smooth driving and (I suspect) is designed that way to teach junior drivers an important lesson – driving on the car’s grip limit feels pretty good, but take too much and your time will drop like a stone. With thanks to Ben Davis and Pete Bennett for support during the day and last minute wet tyre runs! 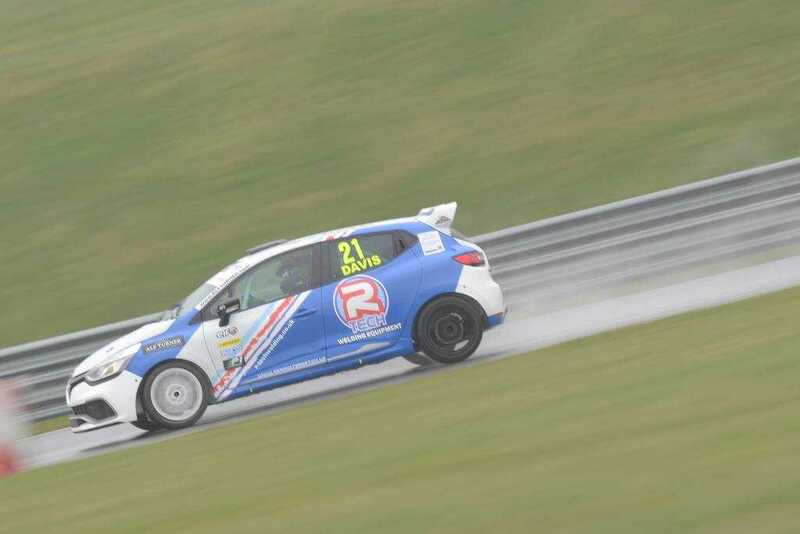 Interested in being a sponsor in the Clio Cup? Ben’s looking for sponsors for his 2017 campaign. Get in touch to find out more. 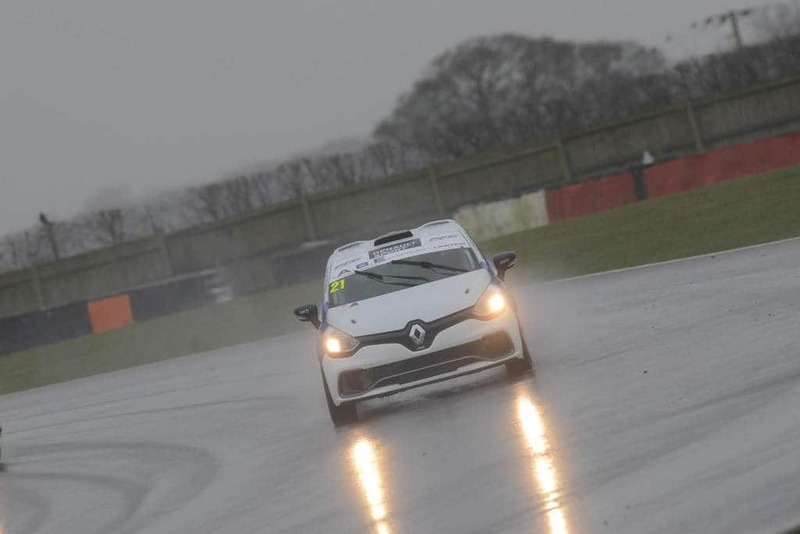 Ben’s track day Clio Car is available for hire – take a look for more details. Photos by Oliver Read. Thanks Oliver! Richard Baxter is an AM driver running in the 2018 Radical Challenge Cup in a Radical SR3. Follow him on Twitter here or follow Driver61 on Facebook at OfficialDriver61. great write up as always. Would you be able to share the cost for testing the Clio Cup car rather than the track day Clio, as it has been on my wish list for a while? Hi Richard, great write-up as always. I’m sure trying out diverse cars will add to the overtal can control skills. Would you be able to share the costs for testing the Gen 4 Cup car, as it is one that I was thinking about trying out for a while?